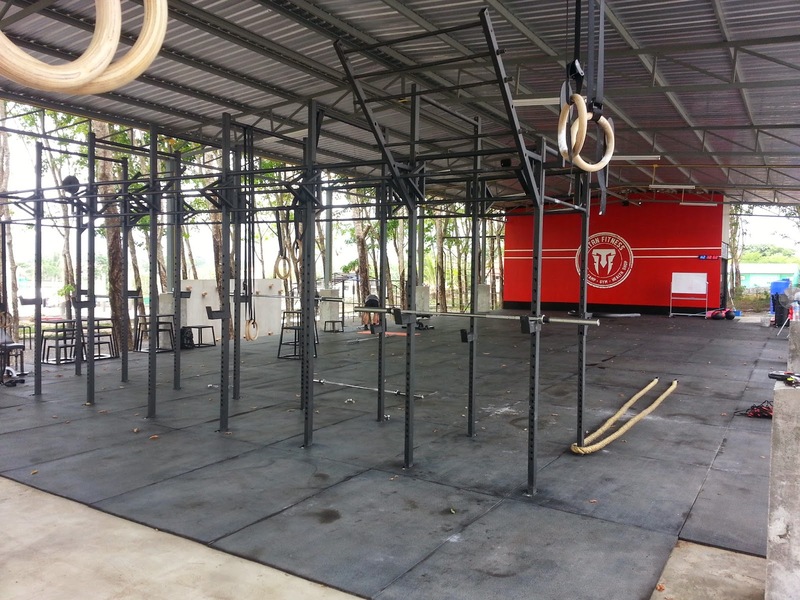 Hey guys, my name is Josh and I'm doing a guest blog piece for Johnny on Titan Fitness in Phuket. This is my first time ever doing something like this so please humor me. Johnny and I met and became friends at Tiger Muay thai in Phuket about 4 years ago. Back in those days the now famous Soi Tiger(Tiger street) was much more basic. 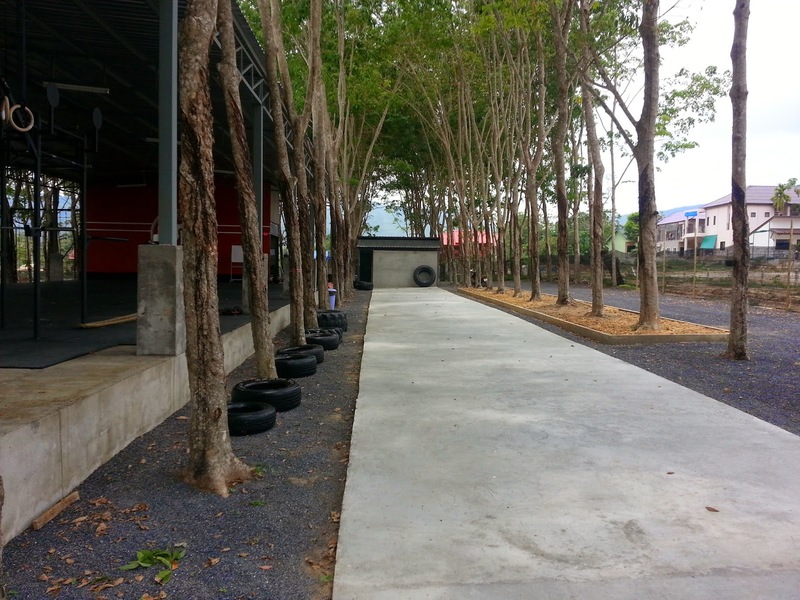 There was basically two muay thai camps (Tiger and Dragon muay thai) a few accommodations and a few restaurants. Fast forward 4 years later and the place has changed drastically. It has developed so much in the past few years. There are more and more muay thai camps and fitness camps being added there it seems every year. That street is truly becoming the fitness mecca of the world, which is why you should go there if you want to get fit,eat healthy, train muay thai, mma etc. I trained there for 2 months from the end of March till the end of May and it was an awesome experience. If you have ever been to a cross fit gym you will feel right at home here. While they do not explicitly run crossfit classes they have an olympic lifting class, strength and conditioning, cross training, and a body 360 class. They also have a military assault course which looks awesome. Here is a picture i took of the main training area. As you can see you can do all your barbell lifts there. They also have two dip stations, battle ropes, gymnastic rings, and not pictured is a full set of ketllebells. So there is more than enough here for your fitness/strength needs. For me personally i did the body 360 classes in the mornings, and open mat session in the afternoon doing a strength training program i have been following for a while concentrating on the 4 major lifts (squat,deadlift,bench,and overhead press). The body 360 was a very intense 1 hour fat burning workout doing all sorts of calisthenics and plyometrics( lots of box jumps),sprints, kettle bells etc. The trainers Kim, John, and Evelina are extremely knowledgeable professional trainers who really motivate and care about their students. Their classes really helped me to jump start my fitness and metabolism helping me shed a bunch of fat. The next picture is of the their assault course, while i didn't try it, it does look awesome and would love to try it the next time.They run classes for this course so you wouldn't just go run it alone. The last picture is of their sprint tire flip area where they do strength and conditioning workouts etc.They have since added meter markers on the strip. So this concludes my review. I highly recommend this gym and the trainers there. The equipment is top notch I was able to make solid fitness and strength gains in the 2 months i trained there.In 2 months i went from 107 kgs to 100, or in pounds from 235 down to 220. Probably the biggest thing i really loved about this gym was the outdoor training surrounded by beautiful nature. You can't really see well from the pics but there's a lush green mountain in the distance and at the top is the big buddha. Here is a link to their facebook page https://www.facebook.com/titanfitnessthailand/timeline where you can see more information about the price and schedule. 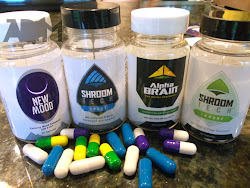 A big thanks to Josh for taking the time to write up a review of Titan Fitness. I know a lot of people have been asking about it and it looks like a legit gym. 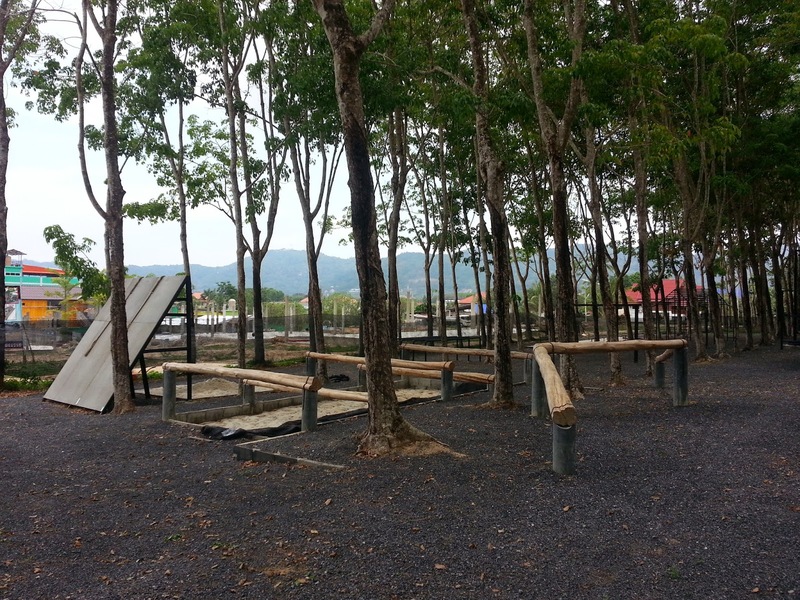 I'm up in Chiang Mai and haven't had time to head down there yet but it looks great, especially with the outdoor areas and CrossFit style open workouts. 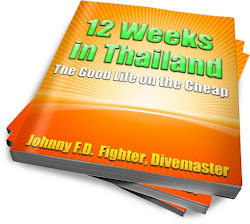 If you guys are planning on coming out to Thailand to train Muay Thai or MMA make sure you read the book 12 Weeks in Thailand first. Trust me, it'll save you a ton of time and money. Hope you come back and train Josh and you Johnny are also welcome:)!